As I've said in the past, we're all makers. And a very large percentage of houses around the world have had a makerspace built in for centuries, the garage. 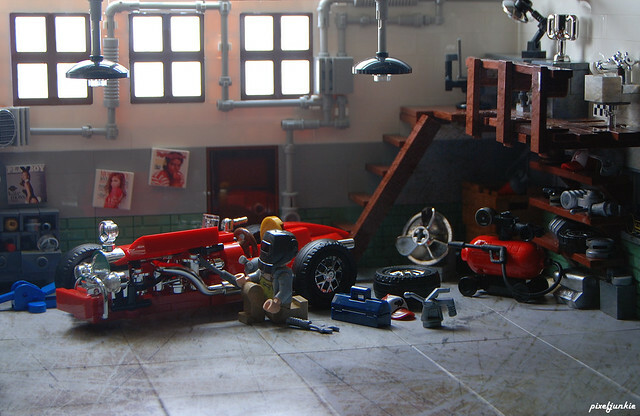 This interior by builder Pixeljunkie looks more like a professional garage though, and it's wonderful. You can practically smell the oil and welding fumes, hear the pinging of metal on metal. The lighting and mood is captured perfectly in this shot, nicely done sir, nicely done.